Six-week-old baby elephant Omysha was trying to climb out of the pit when it all became too much for her tiny little legs and she tumbled backwards. Elephants are known to have tight bonds with herd members outside their immediate family. Mothers and their calves share a special connection, but adults have been known to watch over little ones that aren't theirs. 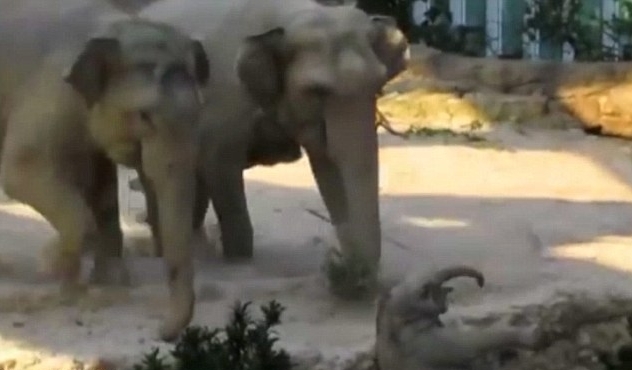 Responses to " Elephants run to help tiny calf after she falls over and gets stuck in hole"